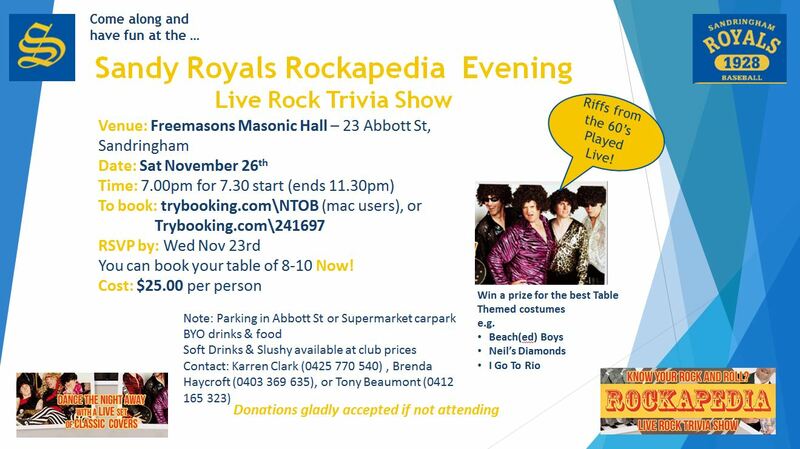 Rockapedia Night – 26 November…get your Glad Rags On! Come along to our Major Fundraising Night for the Season! Rockapedia Live Rock Trivia Show! Players, Supporters, Parents, Juniors are all welcome. Win a prize for the best Table Themed costume!